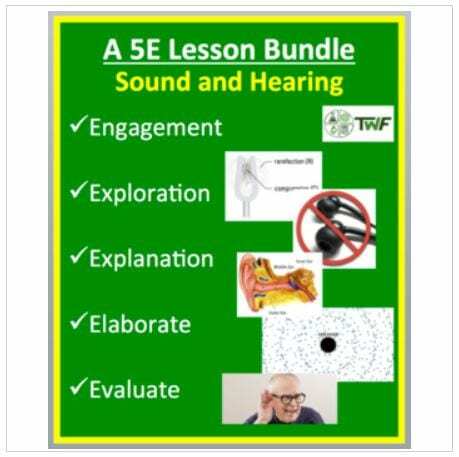 Sound and Hearing – Fully editable and Complete 5E Lesson. 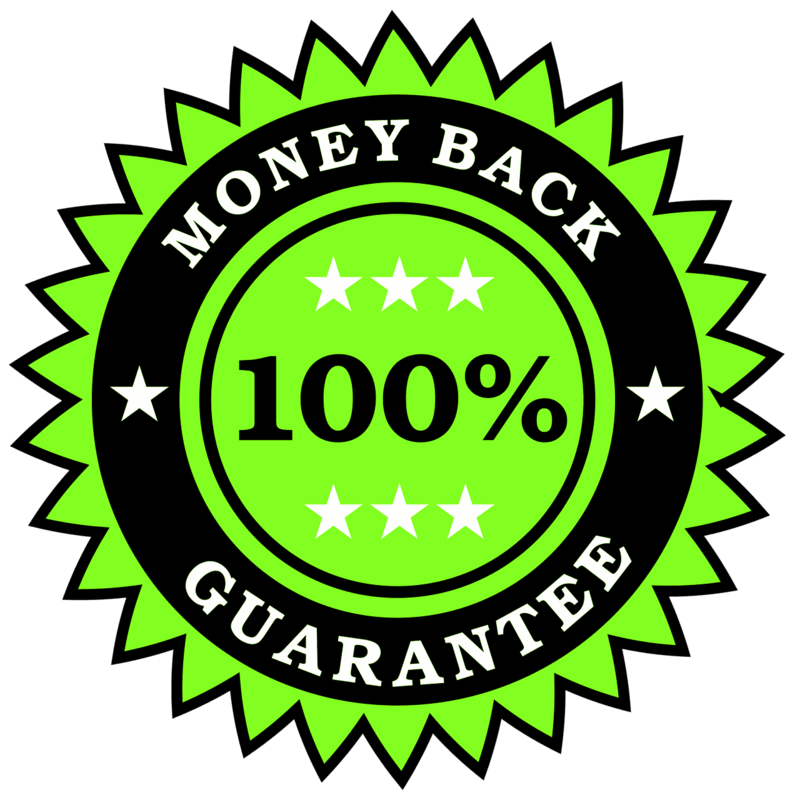 By purchasing this bundle you will save 53% vs. purchasing the individual components separately. 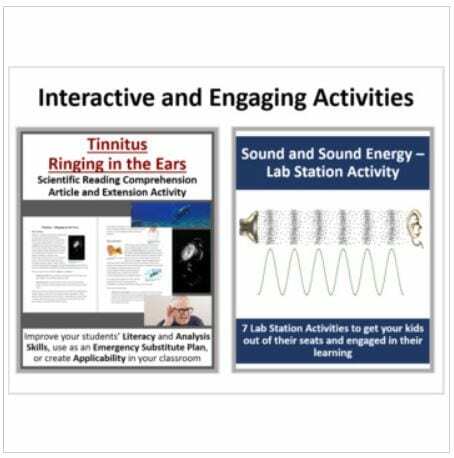 This fully editable Lab Station Activity on Sound, Sound Energy, and Speed is meant to get your students out of their seats and engaged in the content. Each station not only offers a unique opportunity to test your students’ knowledge (offer an opinion, answer questions based on a video or reading, draw, etc. ), but also provides a fantastic learning opportunity where your kids are learning through assessment. Each station comes with a description card while some also contain more detailed instructions, a reading, questions to answer, etc. Students are equipped with a recording sheet (passport) to write their answers. There is almost no prep for you. Simply print the cards, lay them out around the room and you’re all set. An answer key is also provided where applicable. Explain – There are two lessons included. Sound, Sound Energy, and Speed. The lesson first reviews sound including how it is heard and how it is created. It then requires the students to perform an inquiry activity into the how noise canceling headphones work. Lastly, the speed of sound is examined including how its speed changes in different temperatures. To reinforce this, the lesson includes multiple practice questions. There are 2 videos embedded right into the lesson. Simply view the lesson in slideshow mode and click the video image. The video will automatically open in your browser. 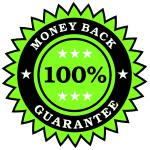 The videos are embedded on my site so that I can keep them updated and replace them if needed. The PowerPoint contains diagrams, examples, and explanations. It includes the lesson (student and teacher versions of the PowerPoint) and 2 videos. I have used this lesson in my own classroom with great success. 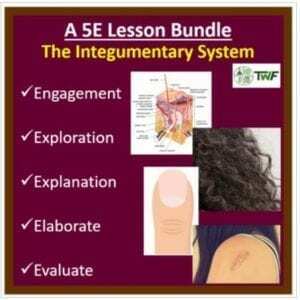 Hearing and the Human Ear – 1-2 day lesson package. 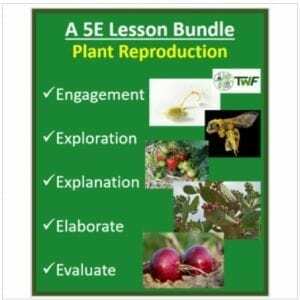 This lesson package has both physics as well as biology elements. The main focus of the lesson is to provide information about hearing to students in regards to what kinds of sounds are heard, the possibility of hearing loss caused by everyday activities and the anatomical features of the ear which allow us to perceive sound. 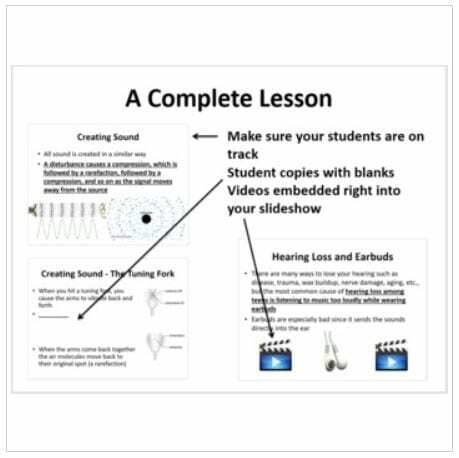 There are 10 videos embedded right into the lesson as well as one website which links to an online hearing test. Simply view the lesson in slideshow mode and click the video/activity image. The video will automatically open in your browser. The videos are embedded on my site so that I can keep them updated and replace them if needed. The PowerPoint contains diagrams, examples, and explanations. 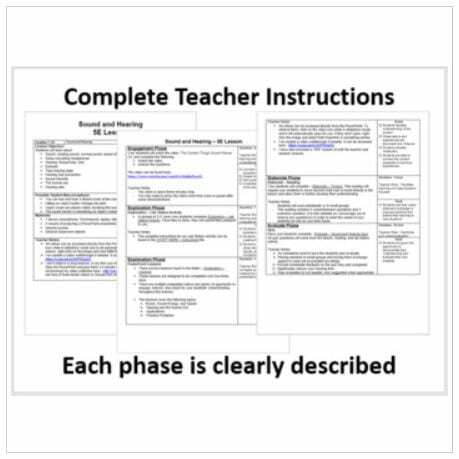 It includes the lesson (student and teacher versions of the PowerPoint), a student worksheet with answers and a student lesson handout as a word document which follows the PowerPoint. The lesson also contains 10 videos embedded into the slides. I have used this lesson in my own classroom with great success.